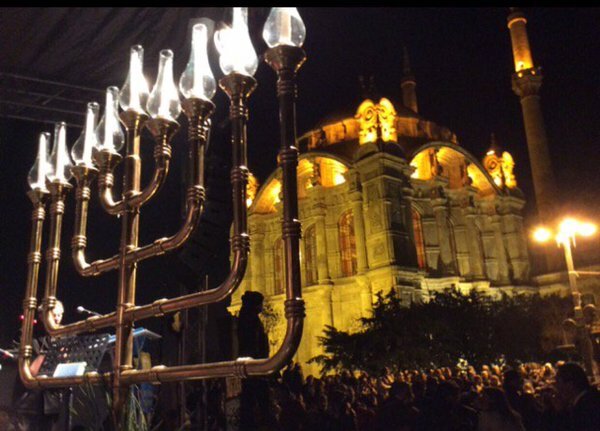 Turkey held a public chanukiah lighting for the first time in its modern history, on the eighth and final night. The lighting took place in Istanbul’s famous Ortaköy square, near the Ortaköy Mosque, and was organised by the local municipality. According to Turkish Jewish newspaper Şalom, those attending included the Turkish chief rabbi, members of the Jewish community, and government representatives. In a video, the chanukiah lighting occurs as the Muslim call for prayer takes place, whilst images posted on Twitter and Facebook showed Muslim girls in headscarves standing besides the eight-branched lamp. Giving a speech to the attendees before lighting the candles, the Beşiktaş Mayor Atty. 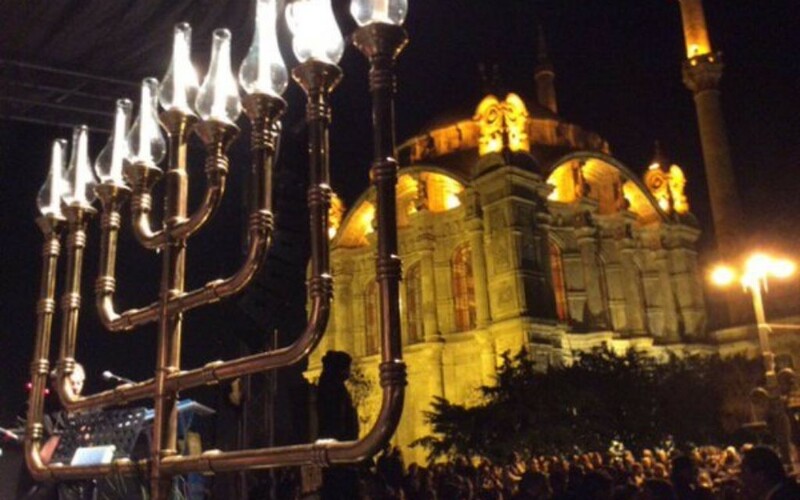 Murat Hazinedar said “Lighting these candles all together in Ortaköy, which accommodates the temples of the three religions as the town of peace and liberties, we are trying to accomplish the same miracle for humanism as that in Hanukkah, which tells about the miracle against those who wanted to prevent the Jews from performing their religious obligations”. “With these thoughts I wish peace, happiness and well-being to all Jews on the occasion of Hanukkah,” according to the Hurriyet Daily News. Over 95percent of Turkey’s population is Muslim, with roughly 17,000 Jews living in the country.